Everyday Fray: From A & K - Wanna Win an Oliso Pro Smart Iron? Irons are kind of a big deal when you sew. On any given project we spend almost as much time ironing as we do actually sewing. Having a fancy schmancy iron helps makes the ironing process faster, easier and more enjoyable. We have both been using Oliso irons for more than a couple of years now. You can see Kelsey's in her table top ironing board tutorial. What can we say about these irons after heavy use over the last 2+ years? Well, they are awesome. They are hot, they glide smoothly across the fabric, they don't leak and although they have an auto shutoff feature, the Pro model's auto shutoff doesn't kick in until 30 minutes of non-use (so you don't need to worry about it cooling off between seams). The Pro is pricey, coming in at about $200.00. Fortunately, the good folks at Massdrop have negotiated an awesome deal on the Oliso Pro Smart Iron. Although it typically sells for almost $200, it is available this week on Massdrop for only $134.99. If 30 people decide to buy the iron, that price will fall to $119.99, which makes it $80.00 off! So what is Massdrop? It's a website that helps communities organize group buys for their favourite products. Community members start and vote in polls for the products they want (right now there are polls for everything from batting, fabric, to shot cottons and we just started a poll for Nani Iro). Once there are enough votes, Sarah (Massdrop's new dedicated craft buyer) makes some calls to source the product and negotiate an awesome deal. Do you want to win an Oliso Smart Pro Iron? Of course you do! Leave a comment below telling us what you'd like to see on Massdrop. Follow our blog? Leave a second comment telling us how you follow our blog for a second chance to win. Spread the word on Instagram for a third chance to win (leave another comment telling us you shared the love so we know to count you again!). International entries are welcome. Contest closes at 8:00 p.m. MST on June 25th. We'll be announcing the winner on Thursday. In the interest of full disclosure Massdrop is providing the iron in this giveaway. We did not receive any compensation or freebies from Massdrop to write this post. That said, we do have some long-standing personal relationships with some of the peeps who work at Massdrop, which means we can definitely say that they are awesome! All of the opinions expressed in this post are our own, based on our extensive experience using these irons. I would love to see any brands of fabric on Massdrop, but especially great stash builders (solids, dots, stripes) in every colour. Never heard of Massdrop before, will definitely check it out. A steamer would be cool or fabric bundles. I love crafting tools so anything in that vein would be great. Thanks for the giveaway. I've tried one of these & lover it. I can't wait to check out the Aurifil thread kits. I'd love to see more of those, since it's awesome thread. I love the idea of fabric!!!! Fabric bundles would be awesome! Thanks for the chance to win. Fabric bundles & rotary blades & of course, keep those aurifil threads available! Thanks! I love to see rotary cutter, blades, rulers, and precuts on Massdrop. Thanks for the chance to win! I follow your inspiring blog via Bloglovin. Thanks for everything that you share! 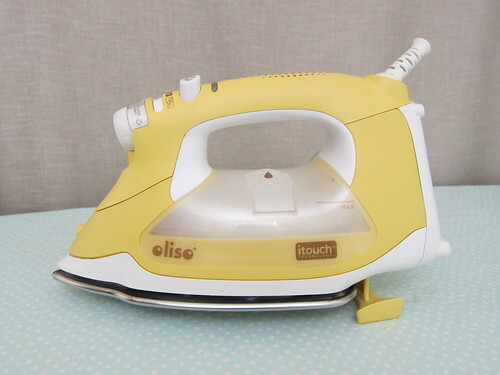 Yes I would love to win an Oliso iron - have wanted one for years. I would like to see designer fabric on Massdrop, or high quality scissors or shears, any sewing or quilting related equipment - maybe even sewing machines! Now there`s a thought. 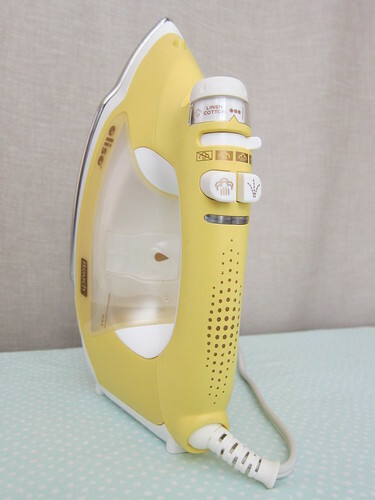 An iron is a useful gadget though and of course I'd love to win one and replace my cheap Tesco iron! :) Thanks for the chance! I'd love to see some Echino fabric on Massdrop! I would love to see some Husquavarna Embroidery Hoops on there. Clover notions would be cool. This is an amazing giveaway. Thank you so much! And I follow your blog via Bloglovin'. Looks like a great iron! I would like to see cones of King Tut thread on massdrop. Also FQ bundles of fabric from moda, art gallery, etc. I love FQ bundles but usually they're just so expensive -- it would be a thrill to get them for a good price. Newly released fabric bundles would be my choice! With so many lovely designs coming out, it can be a hard choice whether to order fewer fabrics or spend more money! Thanks for the chance to win this incredible iron! I follow your blog! Thanks for the second chance to win! I would love to see more notions. Items like the clover clips, special rulers and pretty, shaped, pins. I'd never heard of massdrop before! I like the idea of olfa 45" rotary cutter blades. Those things are pricy! I'd love to see some Ginghers scissors, especially the 8" knife edge shears. Also, a 50 or 100 pack of Clover Wonder Clips too! A third idea would be Tula Pink fabric bundles. Fabric precuts would be nice to see. Thanks for the giveaway! I would love to win the iron!! Thanks for the heads up on the site too. Everyone has good ideas for the site offerings. Obviously as a quilter, I would want great prices on fabric and any quilting notions, tools, etc. 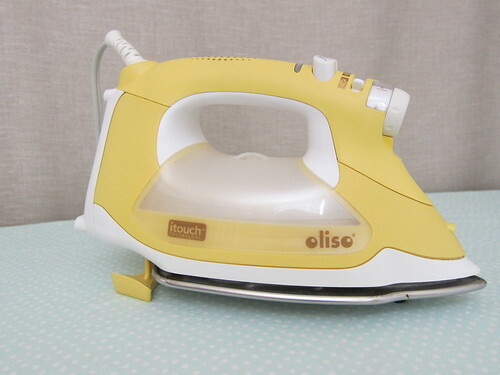 And BTW, I really would love an Oliso iron. I would love to see solid color fabric bundles. We all use batting so that would be good also. I would love to try this Oliso iron. I'd love that Oliso iron! I'm scheming & dreaming this week trying to figure a way to fit the Massdrop in my budget! I'm really looking forward to when they put up Oakshott fabric. I didn't buy the Liberty when they dropped it,,but I have enough in my stash already. Thanks for the chance to win. Just found out about Massdrop the other day. Can't wait to try it'. Thanks for having a giveaway- I would love to own a great iron. Love Massdrop, but would love to see more FQ bundles on there. Or maybe some of the die cutters and dies. Batting and solid fabric bundles. Or Aurifil threads. Thanks for oppty to win. I follow on instagram (natf711) and bloglovin (nataliek711). I can't wait until Massdrop puts the Aurifil neutral bundle up again. I'm kicking myself for not ordering those six spools last time. Fabric precuts would be great on Massdrop. I am thrilled about the Aurifil thread on Massdrop as well as this iron (which I cannot afford right now but would love to win!). I am not fully on the Liberty bandwagon so would like to see some other fabric lines on Massdrop. Thank you! I would love to see fabric bundles. I need to go check out the threads right now....! I follow your blog in Feedly! I love the Aurifil suggestion! I'm brand new to Massdrop - thanks for sharing! I would love to see fabric, for quilting and fashion. I would love this iron. I was hoping for some of the solid fabric sets. That would be great and the Bloc Loc Rulers. would love to see some sewing machines and quilting templates/rulers! I have no idea what I'd like to see on Massdrop because I have never checked it out (it's on my to do list!) but fabric is always good. :) By the way, I'd love to win this iron. I like mine alright but it's not top of the line by any means and I'd never spend that much on an iron! To win is my solution, lol. I follow you on Bloglovin and on IG. More Echino or Japanese yarns. Am glad to learn about Massdrop & would like to see quilters dream batting there! It would be nice to win Aurifil thread collections, and Edyta Sitar's books, patterns, and fabric collections with her precut applique sillouettes. Not sure what I would like to see on mass drop - so far they have been doing a pretty great job. Maybe rolls of batting? Thanks for the chance. How about some designer hard to get fabric like Merrimekko? I am intensely waiting to see the verdict of the solids drop, I started a poll, but it was pulled because the company wouldn't work with them, Sarah started a new solids poll, or someone did, so we will wait and see. Clover clips, batting, rulers and cutting mats. Fat quarter bundles would be good. I would love to see fat quarter bundles! Love massdrop! Already active and been busy buying up all the great craft deals. So now I know who to thanks for all the great items that are being added. Would love to replace my hissing, spitting iron with an Oliso! I would appreciate more fabrics on Massdrop. Wouldove to see solids on Massdrop! I follow on Bloglovin' (Sew at Home Mummy) thanks for the chance to win! Quilters dream batting would be great on mass drop! Stash building fabrics would be great! I would love to see more liberty of london fabric massdrops! I would love to see some bolts of solids - it's always nice to get a go-to backing fabric for quilts that you can dress up with some piecing! Very cool! I would love one of these irons and will join just to participate in a group buy. I'm also heading over to check out the Aurifil. I'd like to see some Annie's Soft & Stable if it's not already there. Thanks! I follow the blog via bloglovin'. Following you all on Bloglovin. Would love to see some sampler packs of new threads,, some gadgets to assist us sewists/quilters.